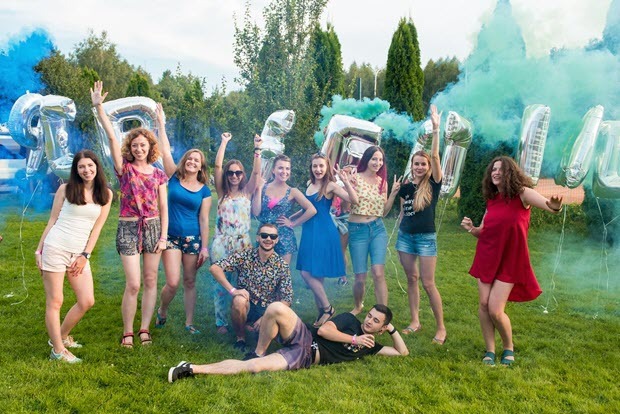 On Friday, August 10, 2018 Perfectial celebrated its annual Summer Company Day. This years’ event was truly special, considering there were many things we as a company would like to mark. From the beginning of 2018 the company has grown more than 30%. Perfectial was happy to welcome to the party news colleagues based in both Lviv HQ and newly-established Delivery Centers in Ivano-Frankivsk and Kyiv. Whole Friday, August 10, all Perfectial people spent under the sun, relaxing, bathing, playing outdoor sports, communicating and having fun with their friends. With every year Perfectial strives to become a better place to work. The past year has brought even more changes: Perfectial has enhanced the professional development strategy by establishing Centers of Excellence (SDO, QMO, PMO, UXO, R&D), distinguishing Competence Leads for every technology and enforcing Mentorship program. Perfectial team makes sure that every colleague gets most of the experience while working on a project and provide the environment for comfort and growth. In 2017 the company has become one of the TOP-3 employers in Ukraine (according to polls by DOU) and this year they are set to beat this record.